The Government of Macau has completed the most recent distribution of its annual wealth dividend, providing most residents of the city with an unconditional cash grant of about US$1,200. The Macau Special Administrative Region (SAR), an autonomous region of the People’s Republic of China, is a resort city with lucrative tourism and gambling industries (described by Lonely Planet as the “Vegas of China” as a “mecca of gambling and glitz”). The city’s lottery industry has helped to finance its Wealth Partaking Scheme (WPS). Initiated in 2008 and renewed each successive year, the WPS provides a cash dividend to all Macau residents. All holders of a Macau Resident Identity Card are eligible to receive the WPS payments, including both permanent and non-permanent residents have been, although payments to permanent residents have been higher in each year of the program’s existence. According to the Macau SAR government, the purpose of the scheme is to “share the fruits of economic development with general public”. However, researchers such as Bruce Kam Kwan Kwong argue the underlying motive of the scheme was simply to “stabilize the political atmosphere” in the face of large May Day protest rallies and other civil unrest. On July 3, Macau SAR announced the 2017 WPS, under which permanent residents were entitled to 9,000 patacas (about US$1,200 or €950) and non-permanent residents to 5,400 patacas (about US$670 or €570). The amount of the payment has remained unchanged since 2014 (when the amount was increased from 8,000 patacas in 2013 and 7,000 patacas in 2012). Disbursement of the payment was completed on September 15, with a total of 688,079 checks having been distributed (278,558 by direct transfer and 409,521 by mail). As of September 17, 264,758 of the mailed checked had been honored. Between honored checks and direct transfers, over 543,000 residents of Macau have already received the 2017 WPS dividend. (The Macau SAR government’s announcement does not state how many of these checks were sent to permanent versus non-permanent residents.) As of its 2016 census, Macau has a total population of 650,834. For additional details concerning the disbursement and eligibility of the 2017 WPS, see Furui Cheng’s July 27 report in Basic Income News: “Wealth Partaking Scheme: Macau’s small UBI”. 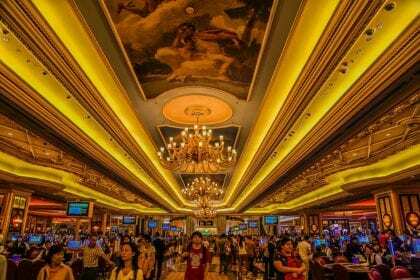 Is Macau’s Wealth Partaking Scheme a Basic Income? On the other hand, it may be dubious to say that the WPS provides “regular” payments to residents. As a matter of fact, the WPS has been distributed annually since the scheme’s initial enactment in 2008. However, it is not guaranteed, and it might be more accurate to describe the annual payments as successive one-off grants. Karl Widerquist explained Basic Income News report on the 2014 dividend, “The government has now set the president that the Wealth Partaking Scheme will be in effect every year, but each year it has been created with one-time legislation without a promise of renewal. The amount, timing, and existence of the redistribution have to be renegotiated each year.” This continues to hold true in 2017. Furthermore, while the most “official” definitions of ‘basic income’ (including BIEN’s) do not stipulate that the amount of the payment is stable, it might be argued that this it is implicitly accepted that it must be so (perhaps pegged to inflation on GDP). The amount of the WPS has historically not been stable, and was even cut significantly in the second year of the program’s existence (from 4,000 to 3,000 patacas for permanent residents). Finally, the most contentious semantic dispute in the basic income community, arguably, is that regarding whether the term implies that the amount of the payments is high enough to secure at least a basic subsistence-level existence. Even if the WPS qualifies as a basic income on all other criteria (although this itself dubious), the dispute renders the final verdict a matter of definition. The amount of 9,000 patacas per year is far too low to meet minimal living expenses. According to Numbeo’s cost of living calculator, for example, the average monthly rent for a one-bedroom apartment is about is well over 7,000 patacas in the city center and about 6,000 patacas outside of the center . For comparison, the average monthly net salary is over 14,000 patacas, and Macau’s only current minimum wage legislation, for cleaners and security guards, establishes a minimum salary of 6,240 patacas per month. Thus, on some definitions of the term (although not BIEN’s), Macau’s WPS would thereby fail to count as a basic income (although it might still be called a “partial basic income”). At the least, Macau’s WPS, like Alaska’s Permanent Fund Dividend, is an example of a universal dividend program with some salient similarities to a “pure” basic income (the latter of which exists nowhere in present physical reality). While BIEN has voted to establish a specific definition of basic income, I have recently argued that an inclusive, umbrella organization should abstain from accepting a singular definition of ‘basic income’. The average price of draught beer is 35 patacas, meaning that the 2017 WPS would not even be sufficient to finance a daily draught beer. The annual payment looks like a sop to stave off discontent turning into unrest. Nevertheless, the principle of wealth sharing is becoming established, and will be hard to reverse. As always, the BI in any form changes meaning according to the extent that it redistributes wealth.